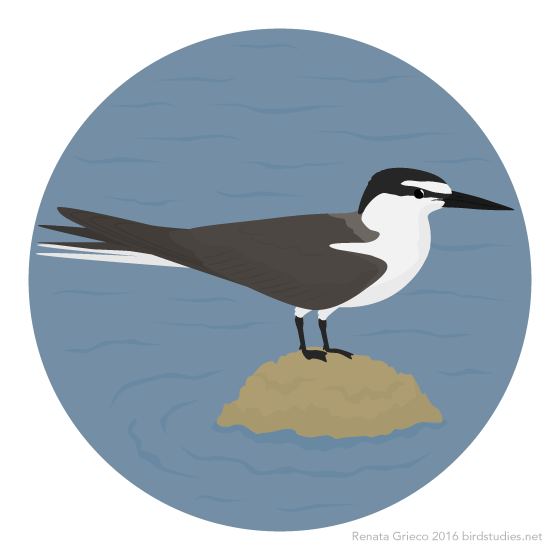 These terns are found in tropical and subtropical areas on the coasts of the Atlantic, Indian, and Pacific Oceans. Diving from the air or swooping low over the water, they catch fish schooling near the surface. They may also sit on the surface and dip their heads in to catch their prey, which can also include squid, crustaceans, and some aquatic insects. Nesting alone or in groups on rocky or sandy shores, pairs raise a single chick. Both parents incubate and feed the chick, which fledges in about two months. Bird Studies Powered by WordPress.com.